We have fallen hard, very hard for Fall. This is an intense obsession/love affair that can only last for about three months out of the year. When the time comes for us to part ways, we know we will see each other again. Although, it is like a bad break up. We are in lust with everything that Fall brings: the slight chill in the air, nature, rustic tones and rich colors to name a few. It is amazing the major style this season can bring with using somewhat understated colors and elements. Today we are sharing images with you that scream fall. The interesting bit is that basically all of these designs use browns, rusts and greys only. 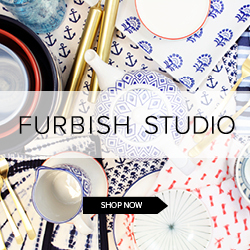 Just using textiles with major texture and pattern you can bring thoughtful style with seemingly little effort. You will see. Let's introduce you to our part time boyfriend, Fall. Bananas. Seriously. Textured stone wall. Ceiling high stacked wood. 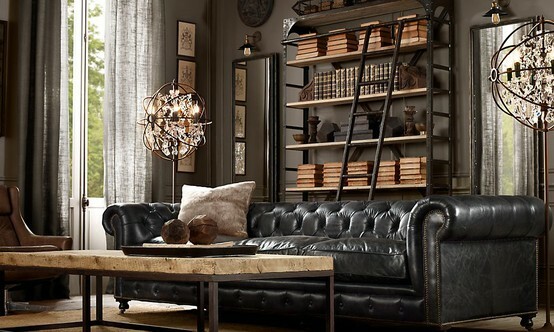 Tufted leather sofa. Louis Vuitton chest as a coffee table. Persian rug. Folks, we cannot even describe why we love each element. We can barely talk. Amaze. Love this fall inspired bedroom. 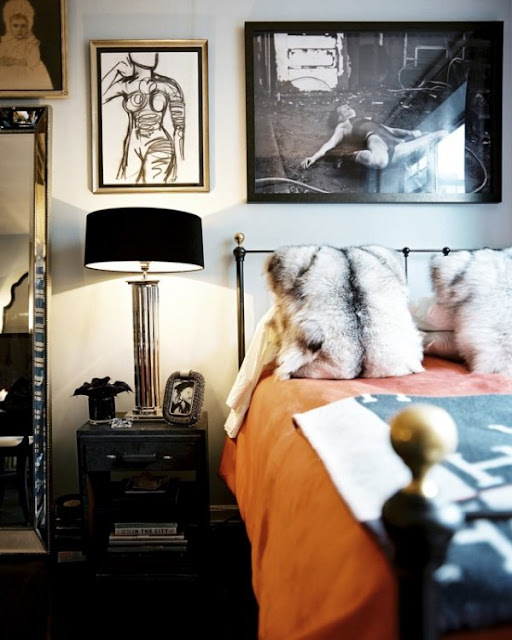 The fur pillows and the rust colored duvet really bring a sense of Autumn to the bedroom. Whether it was intentional or not, we adore. 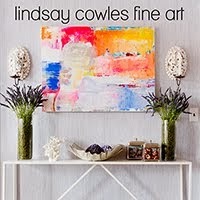 We are totally into sketch are lately as well so this painting definitely does the trick for us. Ummm. Yes. Restoration Hardware, you have done it again and again. This wall color is insane. The creamiest grey you ever did see. 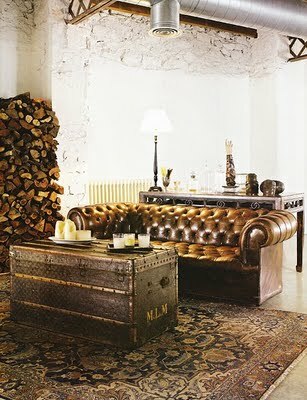 We are totally feeling the worn, tufted leather sofas this season. It brings a major old world feel to a space. It makes it feel wise and knowledgeable. We were stalling to get to the light fixtures. We cannot contain the excitement any longer. Get out. Love, love, love! Science and art. All in one. Reclaimed wood ceiling? Check. Blackcented walls? Check. Major bookcase? Check. Pops of orange? Check. This room has got it all. Not to mention the black cowhide ottoman/coffee table. Although some could find this space dark, we love perfect use of lighting in the living room. Dreamy. Creamy. Although not an overwhelming fall image, this little bit says fall to us. Maybe it is the brown striped settee. 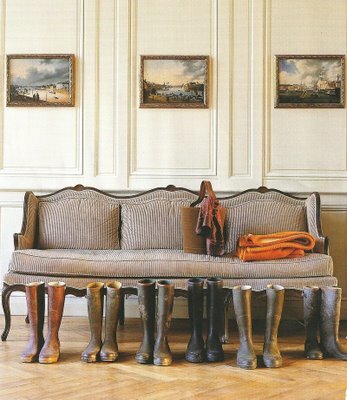 Maybe it is the varying shades of brown rain boots. Or maybe it is the rust throw. We don't know what it is, but it is. The heart wants, what the heart wants. 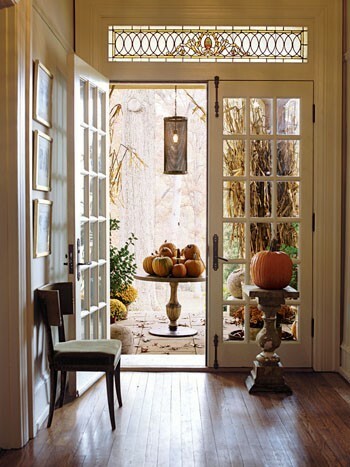 Pottery Barn knows Fall better than anyone. 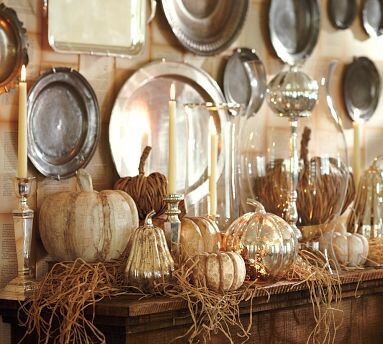 What is not to love here about the mercury glass pumpkins, accompanied with hay and antique trays serving as wall art? See? Autumn does not have to be about loud orange and black Halloween decorations. This image serves as proof to that statement. Absolutely understated Fall. 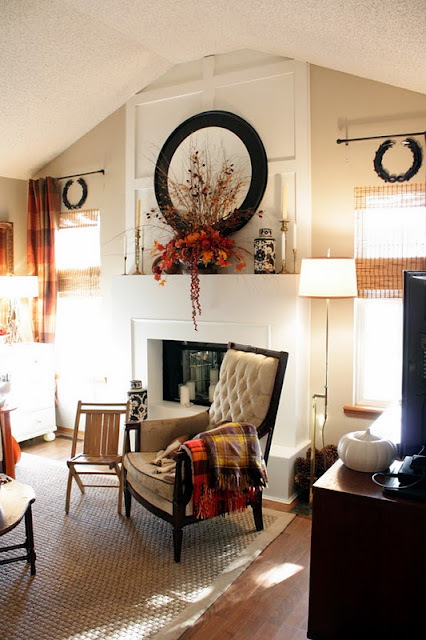 This is a fabulous example of an everyday space totally transformed for the Fall season. By adding plaid drapes and throws, this space is immediately ready for fall. We also adore the use of the rusty rustic florals on the mantle. 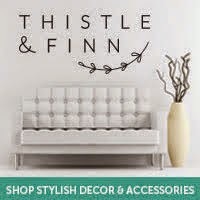 That tufted accent chair is adorbs as well. Obvi. 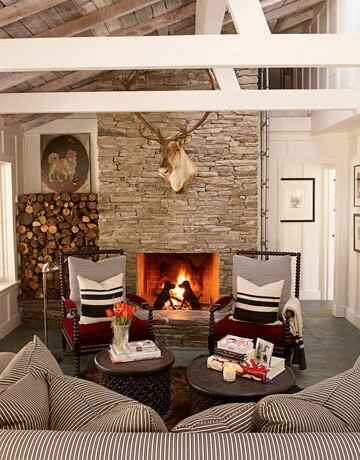 Legit deer head, stone wall, reclaimed wood ceiling, wall of wood, cowhide rug. Fall, Fall, Fall. This could be an amazing space for a cabin as well. Is anyone noticing the amazing knobbed accent chairs? O. M. G. We just want to cuddle up in this space. Immediately. If not sooner. 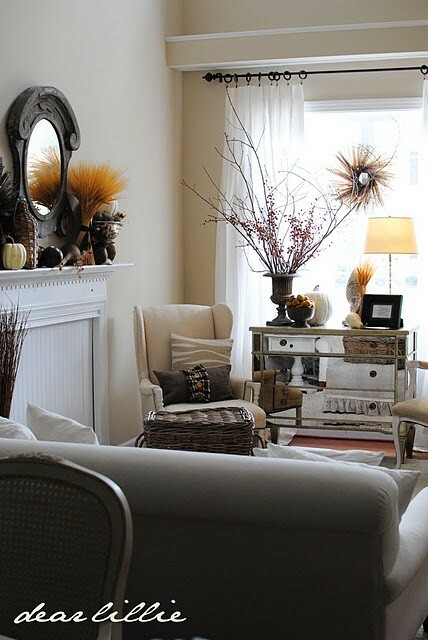 Another prime example of a fabulous everyday space being gussied up for Fall. Not to mention this room has got the creamy, dreamy color vibe going on. Gorg. Not necessarily a Fall space, but it is today. The wall color is killing it here. 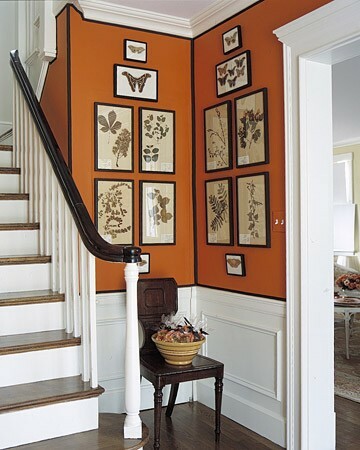 Hermes orange on the wall? Holy. We are totally feeling nature prints lately as well. Butterflies, florals, you name it. We have to mention the major contrast black trim here folks. Blackcents at its best. Love. Gorgeous hallway all Falled up leading to an even more Falled up porch. In case you are wondering, Falled is a word. It is. Big surprise in store for you lovelies today. Be sure to check back later. Also, we have been named as regular blogging contributors to one of our favorite magazines, Savor NC. We start tomorrow! We feel like the prettiest girls at the dance. (Quote from Arrested Development for those of you unaware.) For those of you who know and love Arrested Development, they have decided to reunite for another season. BIG. NEWS. BIG.